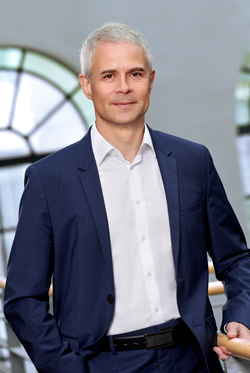 Maik Müller has been an Executive Director of Nynomic AG since May 2015 and is responsible for Technology, Operations, and Research and Development in this holding company. Previously, in October 2010, he was appointed to the Executive Board of tec5 AG and has since then been fully responsible for the operational management of the tec5 Group worldwide. 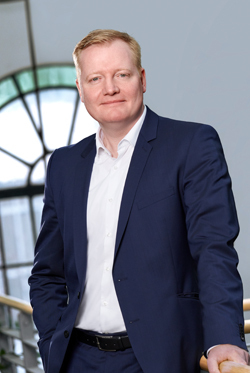 After completing his studies in Communications Technology, Maik Müller joined the recently founded tec5 GmbH in 1995, where he played an important role, in different capacities, in the development of the company over a period of over 10 years. From 2005 to 2008, he was the Director of R&D at CyBio AG. After that, he worked at Zühlke Engineering in the area of high-tech consulting until his appointment as an Executive Director of tec5 AG. Fabian Peters has worked for the Nynomic Group since October 2013 and has been an Executive Director of Nynomic AG since January 2015. Parallel to this, he is also the Managing Director of m-u-t GmbH. As a member of the Executive Board of Nynomic AG, he is responsible for Finance, Controlling, Organisation and Investor Relations. After completing his Finance studies, Fabian Peters gathered a wide variety of management experience in the field of insurance. Before joining the m-u-t Group, he worked at Versatel AG in Finance, followed by many years of CFO work within the L&O group.